At Mediavine, we’re big fans of collaboration. We’ve got several publishers who believe they’re better together! From world travelers like Andrzej and Jolene of Wanderlust Storytellers and Laurence and Jessica of Finding the Universe to healthy living experts like Christel and Tobias of Diabetes Strong, we’ve talked to many of our publishers who are dynamic duos. 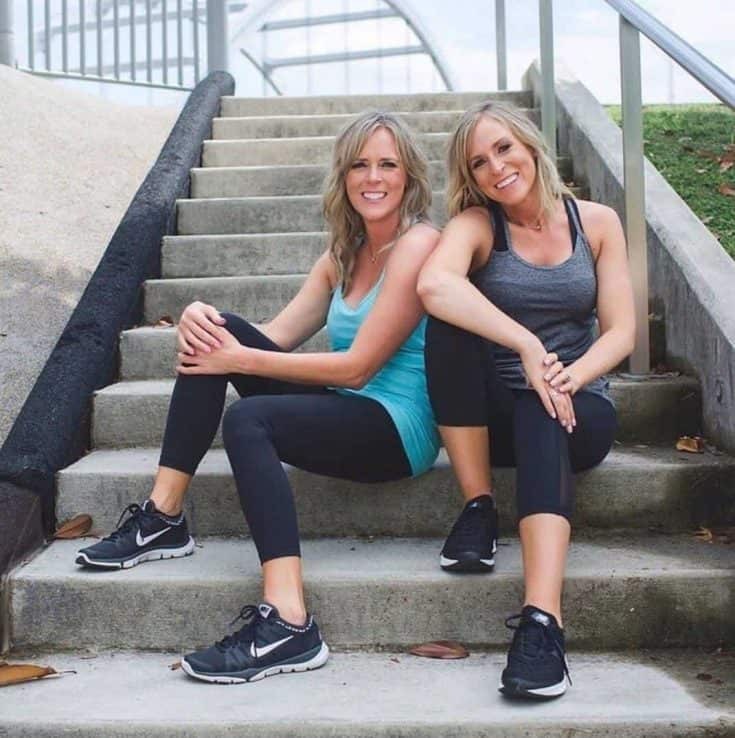 Today we were fortunate enough to sit down with one of our more fabulous blogging pairs, Kim Sorey and Kalee Dillard, the mother and daughter team behind the healthy lifestyle and exercise site Sorey Fitness. 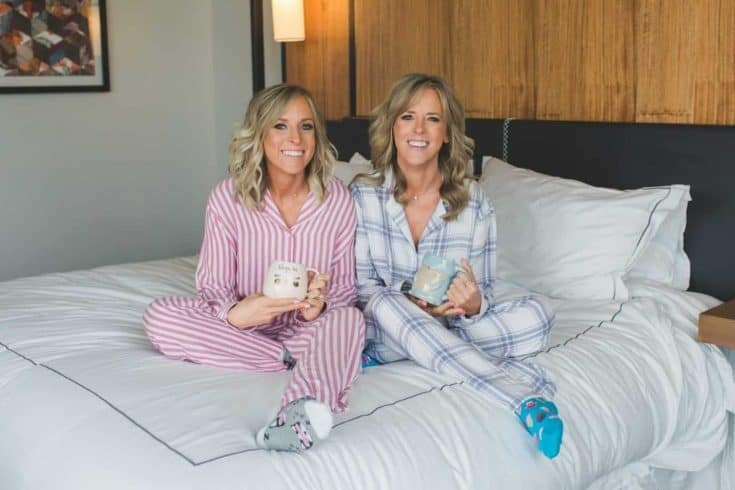 Welcome to the Mediavine blog, ladies! We’re mother/daughter and best friends. We both live in Nashville, and we love being able to explore the growing city!! We love getting to travel as well. We love a great beach trip or getting to experience a new city. New York City is probably our favorite right now! We also love to workout and also relax with our pups. Kim has a toy poodle, and I have a Shih Tzu. I’m also married to an amazing man, Jake. He is so great with our business and encouraging us! My mom has always been an example of healthy living to me. She has worked out at home and chose healthy foods 80% of the time since I can remember. After I graduated college, I really wasn’t sure what I wanted to do. I have a degree in Marketing, Finance and a Masters in Education, but nothing really felt like me. So when my mom suggested that we start sharing our approach to healthy living and balanced eating, I was on board! That’s how Sorey Fitness started! We’ve been a Mediavine publisher since late August 2017. 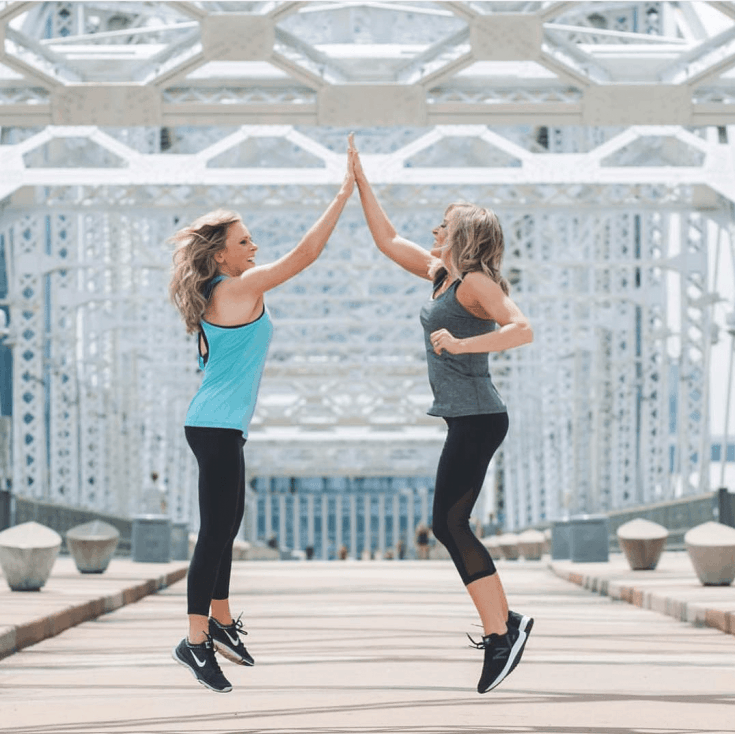 We heard about Mediavine from Sarah Jane Parker from The Fit Cookie, and we were so excited! We had no experience with ads besides adding them in ourselves — which was not productive or profitable! When she told us about Mediavine and how simple they made it, we were in! We loved the idea of working with a company that cared about their publishers and also provided a way to make an income doing what we love! You guys seriously care, a lot! Mediavine is also a seriously great blend of creative and detail-oriented people. Anytime we have had a question, you’ve been there. We’ve learned so much from the company this year, and the community you all have created is such a blessing. The bloggers we’ve met because of Mediavine has been game-changing on so many levels. Our income took a hit in 2017. Our mojo was down, and we were praying for an opportunity to get back to where we had once been. Shortly after, we heard about Mediavine! The ad revenue has helped us get back on track and even invest in our business! We’ve been able to hire a graphic designer and programmer to update our blog, bought video equipment to create a home studio (year of video! ), and sleep easier knowing we have this stream of income coming in each month! There are more healthy living blogs now than when we started. Which you could look at two ways — you have more competition or more of a community. We tend to look at it as a blessing because we now have more people to connect with, learn from and collaborate with! Social media has also changed so much, and I think that affects the blogging industry too. Trying to get your message out now takes a little more creativity and consistency than it used to. The best part is probably the ability to set your own hours. We also love being able to connect and help people, but you could find that in several different jobs. So the ability to live life on your own terms and help people is truly amazing. Ironically, the worst part of blogging is that it’s all on you at the end of the day. I’m one to work longer hours, get focused on things that probably don’t matter (adding alt text to every image from 3 years ago), and have a list of 100 keywords I could write about. This can get overwhelming! So I’ve learned to make a list of all of my ideas, and then put them into a tracking service like Asana with due dates. This helps me set limits and work hours! Seeing our traffic go up this year has been so exciting. We’ve blogged since 2011, and this year we’ve grown our traffic 3.3x what it was last year! We’ve also experienced a higher traffic growth this year than any other! Since a lot of our traffic is from search engines, I can’t say they represent our blog completely. With that said, bring on the visitors! They’ll get to know us when they get to our site! I love our post on healthy meal planning because I really feel like it showcases our personality while offering a lot of value. 17 Keys to Living Happier & Healthier is another favorite. It really is a compilation of all of the lessons we’ve learned over the past few years — whether it be physically or mentally. The other post would be our 21-Day Challenge. It’s where we get to go a step further than writer and reader. We actually showcase some of our readers’ results from the exercise and nutrition plans we recommend. Seeing their transformations and getting to work with other people is really cool! We try to keep it pretty simple! We use WordPress and chose a great host that offers 24/7 service and free backups. We use Yoast to make sure we’ve done a little SEO on each post. We also love Tailwind for Pinterest! Asana and the free version of SEMrush help us track and find new keywords to create content. We also have an amazing programmer we work with, and this is so helpful because we’re not very tech-savvy! Google. We’ve always used basic SEO practices. I don’t know how we knew to do that in the beginning, but once we saw search engine traffic we were hooked! We love Josh & Amber’s Theory of Content podcast for SEO tips, as well as Yoast for a general guideline. Pinterest is our second traffic source. We’ve hired Pinterest “experts” in the past, but it’s never really worked out for us. Now, we listen to Kate Ahl’s Simple Pin Media podcast, and we use her tips along with Tailwind. We schedule probably 30 pins a day and don’t stress too much over how much is our content versus someone else’s. We just focus on pinning good content and being consistent about it. We also love Tribes! The main piece of advice is to be patient and consistent with your blog. One of the big lessons we learned was that sometimes a keyword can be searched for a lot and then just drop off. One way to combat that and continue to grow is to find other keywords in your niche and keep creating new content. We aim for two to three new posts per week that are searched for at least 1000 times per month and have a pretty low (50-70%) competition rate. We find those keywords by doing searches on SEMRush. Also, focus on where you are strongest. I love creating content. Promoting it is another story. We spent so much time trying to get Facebook & Instagram “to work” this year. Going forward, we’re going to focus on our strengths — key words for SEO and Pinterest! That’s where we’re strong, and that’s what is bringing us new readers. Sometimes we get wrapped up in little details or a strategy some “expert” throws out there — let that stuff go. Focus on what is working for you, and make doing more of that your focus everyday. Don’t be afraid to push outside of your comfort zone. Invest in yourself, talk to someone new, write about something you’ve wanted to talk about but were nervous to — it’ll all be okay, and you’ll grow from it! Write a New York Times Best Seller together. I think the idea also frightens us, but it would be so cool to be able to share what we’ve learned with so many people. Oh that’s hard! We love New York City at Christmas, but we are also totally okay hitting the beach! We just visited Cabo, and that was amazing.